A polarizing Star Wars movie? 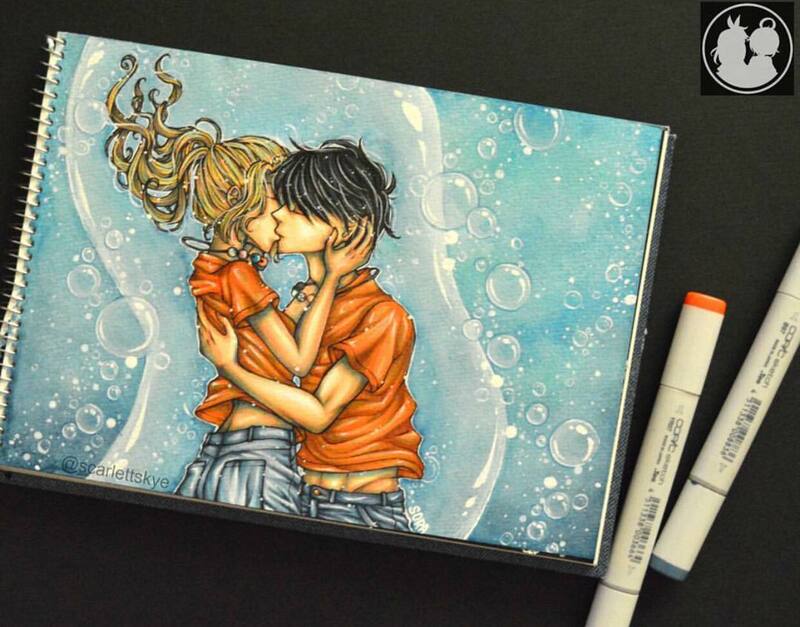 Critics have expressed their admiration for the film, while the fans have pulled-out their torches and pitchforks. It must be opposite day this Christmas season, since normally, it is the critics who come out to lambaste, while the fans come to defend. The defendant has been accused of not living-up to any of our expectations, with some of the audience viewers even claiming it to be a whole lot worst than the disappointing prequel trilogy. So help us God, on the season of His Son's birth, we will get to see if this is indeed as great as The Empire Strikes Back. But before anything else, I just want to say that this movie, despite what most other Star Wars fans say, it is pretty good. I mean yeah, there are huge, glaring flaws and all, but it is not in the unwatchable level of bad. It is decent! Welcome back to Dateline Movies, and movie court is now in session to handle the case of Dateline v. Star Wars: The Last Jedi! And please do not forget that the spoilers are strong in this one! After the destruction of the "Starkiller Base", the core forces of the Resistance, lead by General Leia Organa, played by Fisher (When Harry Met Sally ...), together with First Order defector Finn, played by Boyega (Attack The Block), and ace fighter pilot Poe Dameron, played by Isaac (X-Men: Apocalypse), as well as mechanic Rose Tico, played by Tran in her first major movie role, scramble to make their next move to decimate the First Order for good. 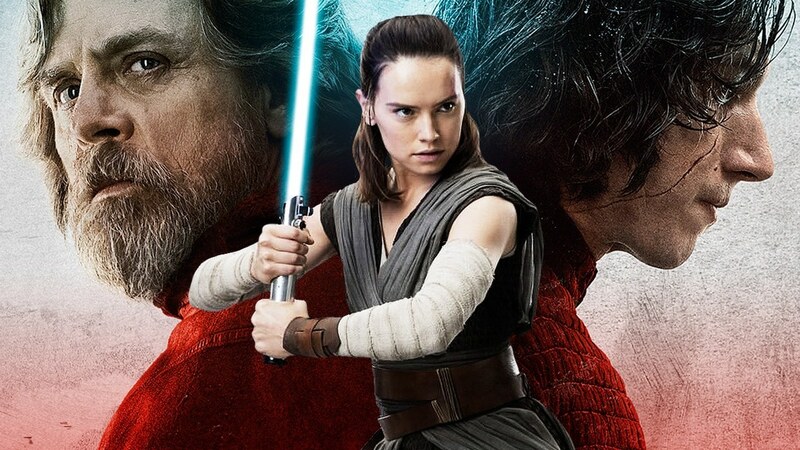 While this is happening, potential Jedi Rey, played by Ridley (Murder on the Orient Express), seeks out former Jedi Master and intergalactic hero, Luke Skywalker, played by Hamill (Kingsman: The Secret Service), after retrieving the lost pieces of the map to his current location. There, she implores his guidance, in order to gain mastery over her Force-related abilities. Humiliated from his defeat by Rey, Kylo Ren, played by Driver (Logan Lucky), is trained to the peak by Supreme Leader Snoke, played by Serkis (The Planet of the Apes Reboot Trilogy), and now thirsting for vengeance, sets his sights on both Rey, and his former master, Luke! 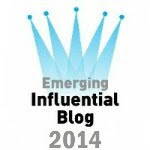 It channels The Empire Strikes Back, while offering something different. You did not enjoy Star Wars: The Force Awakens for blatantly copying-and-pasting A New Hope? Were you worried that The Last Jedi would just straight-up rip-off The Empire Strikes Back? Fear not, because The Last Jedi might have taken some tonal cues from the fifth episode of the saga, the latest installment in the franchise is anything but a complete mirror reflection! We are treated to new twists, new mysteries, new creatures, and new worlds. Most of these twists are linked to some of the recently unexplored dimensions of the Force. 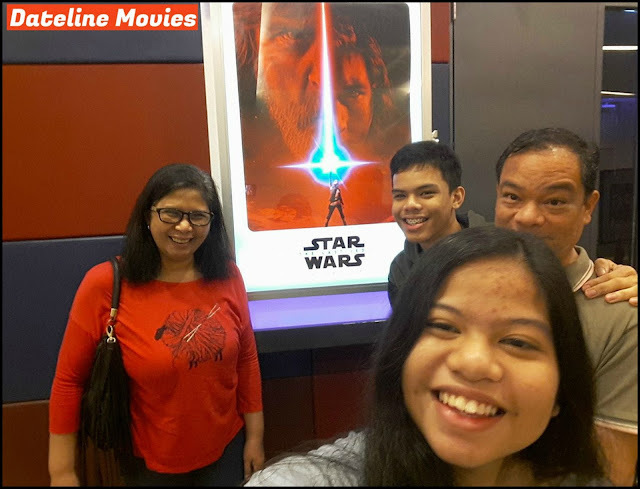 In the film, while possessing the Force does give you some form of telekinesis and telepathy, we discover that by having the Force, one can physically communicate with another Force-wielder. In addition to that, geokinesis, or the ability to move literal mountains, is introduced. Plus, Leia is actually a Force wielder? Whoa! We have so much more territory to cover. I enjoy the movie's basic premise, which is a standoff between the Resistance and the First Order, in the vacuum of space. Surrounded by a First Order squadron, including the fearsome Supreme Leader Snoke's ship, the Supremacy, the Resistance have to survive for as long as they can, to escape on low fuel. I have to admit though, while it is a breath of fresh air from the usual large scale battles, the execution is quite messy, but we will go into detail later. Luke Skywalker's more pessimistic portrayal, in contrast to his more optimistic versions in past stories, is one of the few other points that fans are not open to. While admittedly it barely resembles anything like the Luke that we all know and love, you have to admit that his characterization into this was bound to happen. I mean, come on, his own nephew turned to the Dark Side.Yeah fine, he did try to kill Ben Solo in his sleep, out of fear that he might be the one to end it all, but it shows that Luke, like every other legendary hero, is prone to making poor human judgments, and his display of guilt at seeing Ben look in terror just shows that he is indeed a flawed, but human, figure. Overall, The Last Jedi is dark, and not in an unnecessarily brooding or a plain awful manner, and I am just glad that it did not borrow shamelessly from The Empire Strikes Back. 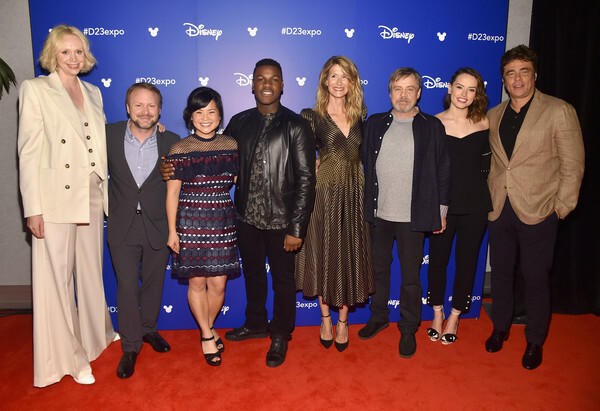 Mark Hamill and Carrie Fisher are at their prime, and so are the rest of the cast. 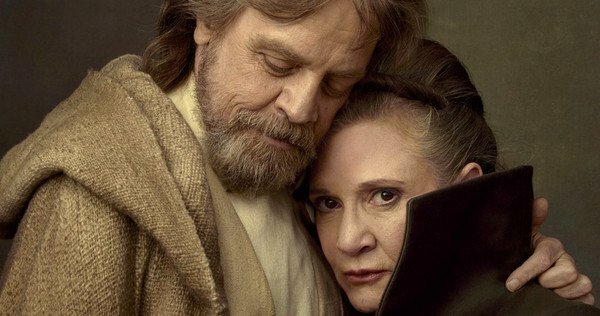 It really is great to see both Mark Hamill and Carrie Fisher be in major movie roles once again, other than being voice actors in some of our favorite shows. Hamill, despite initially not liking how his character has developed into, delivers his best live-action performance in a long while. Like what we have said before, this older, grimmer, grumpier, potentially crazier Luke is a bit of a far-cry from previous iterations, but Hamill makes Luke every bit as likable as before. I do love his highly anticipated, although a little bit underwhelming, duel with his former apprentice, with him just showing-off that Hamill still has that lovable energy going, and his brief encounter with Leia is pretty heartwarming. Carrie Fisher, before sadly passing away last year, was able to accomplish her parts in this movie, and is even made more hopeful when you realize that Fisher was able to share the screen with her daughter, Billie Lourd (Scream Queens), who played Lieutenant Connix here and in The Force Awakens. In her final film, Fisher makes the best out of her last outing as the beloved Leia Organa, and she will indeed be truly missed. I also enjoy Oscar Isaac's larger and much more meaningful role as Poe Dameron. While last time, he was missing from more than half of the movie, and now he is back with a character arc. With charm, Isaac makes Dameron a character of his own. 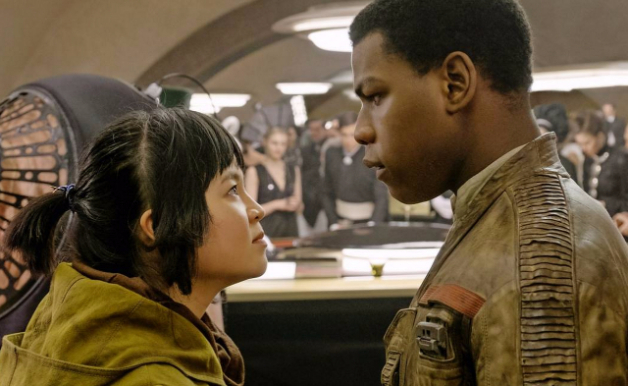 Newcomer Kelly Marie Tran makes Rose Tico, a character that feels as if she was made to meet a demographic's expectations, a likable character, and her interactions with John Boyega's Finn are just average, sadly. I hope to see more of Tran in future installments. 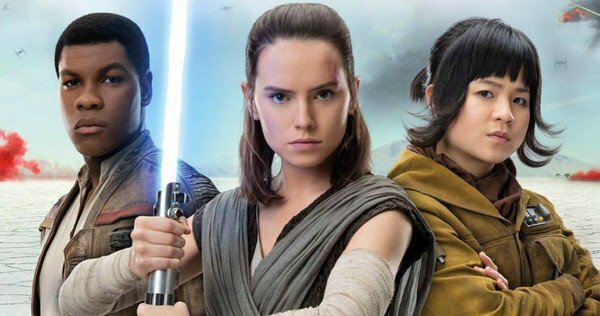 Rey's much more conflicted portrayal is great, as she struggles with discovering her true lineage and identity, we join her in her path of self-discovery. Kylo Ren evolves from emo Darth Vader wannabe, to one of the best movie villains of the decade! When we last saw him in The Force Awakens, Kylo Ren was just trying way too hard to be the next Darth Vader, and he often comes-off as whiny, with fits of temper tantrums. Now, after being endlessly poked fun at by Supreme Leader Snoke, Kylo Ren, discarding his trademark mask, becomes the new Supreme Leader of the First Order! Throughout the entire movie, we hoped (or like me, probably not) that there could at least be a chance for him to rejoin the side of light. Alas, Ben Solo is no more, and Kylo Ren reigns! I am just amazed at the writer-director Rian Johnson's decision to take the more risky route, and make Kylo Ren into a fully recognized villain, with no longer any ties to morality. And thanks to this, and Driver's amazing performance, Kylo Ren is now officially one of my favorite on-screen villains. The action is breathtaking, and the cinematography is jaw-dropping. Being one of the cinematic forerunners in the industry of making wide-scale, epic battles, it has come to no surprise that expectations are high for the awesome battle sequences. Thankfully, The Last Jedi does not disappoint, and the battles are just mind-blowing! It only has two major battles, and only one that is set in space, which is the introductory battle. For me, I thought that this is the best big-scale battle, as not only are we introduced to Rose's sister, and eventually, Rose's motivation to join the fight, which make for some heartbreaking moments, we are also shown at Poe Dameron's tendency to be stubborn in the face of danger. Aside from just being a visual splendor, in less than a few minutes, we already know how some of the essential characters work, and the execution of this scene is flawless. The final battle planet at the salt planet (Yes, salt.) of Crait is also brilliant, and the assistance of some eye-popping usage of the color red, as seen in the image above, is beyond spectacular. I also like how in this sequence, I get those "Battle of Hoth" vibes from The Empire Strikes Back. That might sound like copying to you, but trust me, the scene is great, and the emotional punch at Finn's aborted heroic sacrifice, and later on, Luke's peaceful demise, is decent. Allow me to also add Vice Admiral Holdo's, played by Laura Dern (Big Little Lies), by using the Hyperdrive to collide with the Supremacy, is one of the best shots of this movie. The action is actually done better here, thanks to its crisp cinematography. But none of these epic fights can come close to the visual, pulse-pounding spectacle that is Kylo Ren's team-up with a captured Rey, against Supreme Leader Snoke's heavily-armed "Praetorian" guards. Actually, I will just say that the best fights in the movie are the duels, but this just takes the cake. Tired of being pushed around by Snoke, Ren decides to kill Snoke, by using the Force to move his Lightsaber from Snoke's reach, and slice him in half. What follows is a beautifully choreographed team-up between the good, and the evil, against the much more useful red-colored ninja-like guard. For real, this is by far the best scene in the entire movie! Also, the designs of those guards, are awesome. Lastly, the duels between Luke Skywalker and Kylo Ren, as well as Finn and Captain Phasma are great, but sadly, underwhelming. Underwhelming as in it does not last long enough to be truly grandiose. Do not get me wrong though. Those scenes are brilliant, and it will put you at the edge of your seat, but in the end, it is very limited. The Force Awakens sure knew how to raise expectations, then immediately ruin about some of them. The Last Jedi does exactly the same thing, but instead of only ravaging some of our expectations, it completely does not meet about almost half of them? The movie is completely non-serviceable to fans of the saga, which is the very reason why it is polarizing audiences. Meaning to say, it does not exist for the sole purpose of meeting fans' wants and desires, which can be both a good and a bad thing. The fans who sorely tired themselves in theorizing who Rey's parents could be would be sourly disappointed to the revelation that her parents are not related to the Skywalker family tree, and are instead just a bunch of random, horrible people who sold her for drinking money. Wow. Talk about being anticlimactic. We were teased frequently that both Snoke and Phasma would eventually become key players in the sequel trilogy. So far, in the seventh episode, they were more or less just cannon fodder. Our eighth episode pretty much just proves that claim. 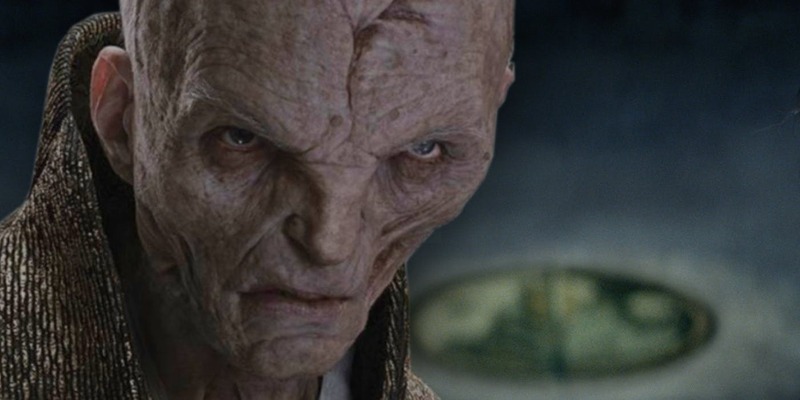 While it has been hinted time and time again that Snoke possesses some new array of Force-linked abilities, and is even portrayed as a powerful Lucifer-like deceiver, he gets easily killed by a nearby moving Lightsaber in just a few seconds. While Captain Phasma is said to be a cool assassin in the same vein as Boba Fett, she gets instantly caught in an explosion after fighting Finn for only a minute. While I am always up for something unexpected, couldn't Rian Johnson have at least given these two some form of justice before biting the dust? Fine, Boba Fett did not get that much screen time, nor was The Emperor given a complete backstory in the original trilogy, but both characters were teased to the point that they were suppose to matter. I am hoping that some way they can be resurrected for future installments. Snoke might use the Force to come back, while Phasma might even become a cyborg. And here is where much of the fan-rage originated. I have to agree with a lot of the fans here, as the way the Canto Bight subplot is handled is really clunky and messy. The movie showed that the adventure to the casino planet is important, as both Finn and Rose need to seek-out a master codebreaker who can jam the Hyperdrive-tracking device in the Supremacy, for the Resistance to escape. In all of the scenes they are in, I might have been slightly engrossed by its use of political commentary, stating that the rich people there are rich because they sell weapons, but everything feels more like an Indiana Jones copycat. Their escape from the planet also screams Indiana Jones, or even worse, "prequel-like". 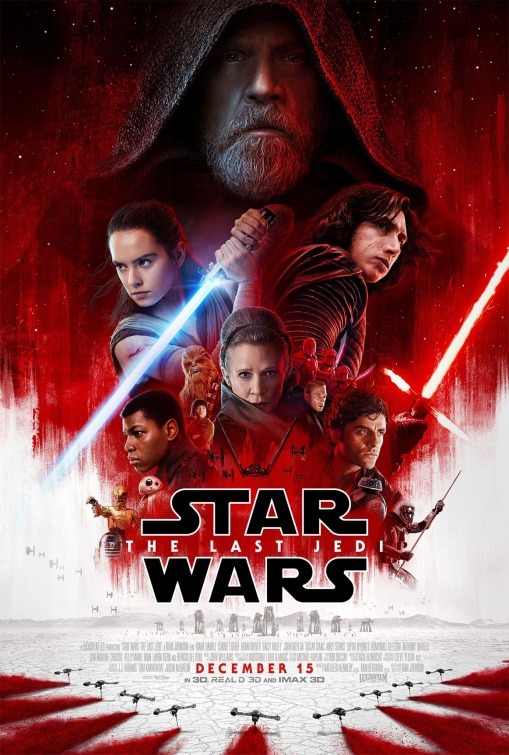 The scenes feel a little bit out of place, although it will ultimately payoff in a forced love story between Finn and Rose by the ending, and a potential love triangle between Rey, Finn, and Rose, and it clearly disrupts the most important story arc in the movie, which is Rey's evolution to a full-on Jedi Master. I understand that Finn needed some form of character development, and we needed to advance the plot and all that, but what really infuriates me most about this part is the fact that it is pointless. Yes. Pointless. You see, Vice Admiral Holdo did not like to share what she was planning, which is to escape to a nearby planet undetected. 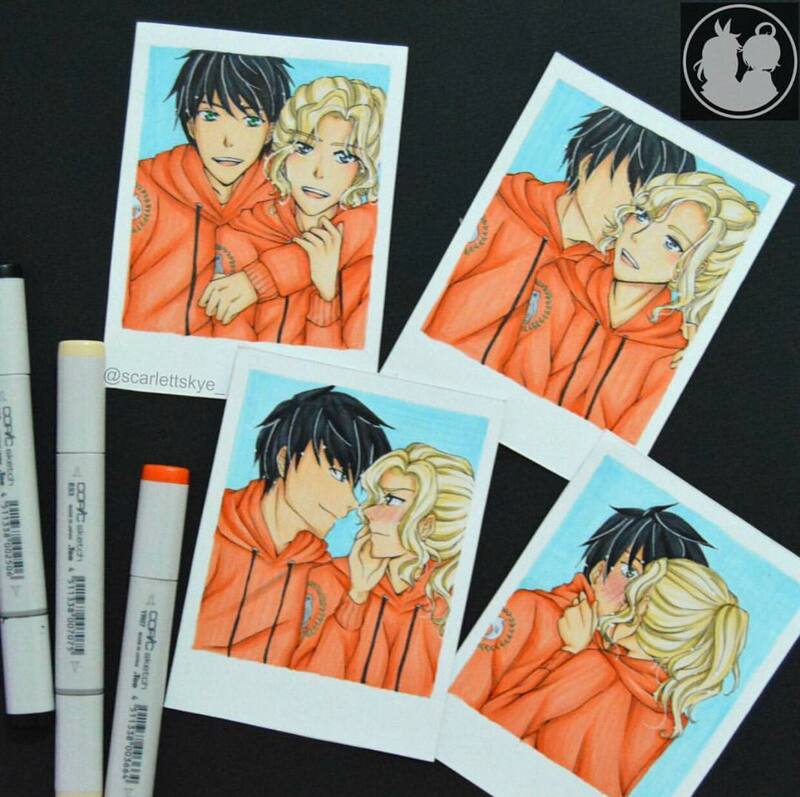 Finn and Rose's trip to the planet would not have taken place had she just told everybody. In fact, DJ might not have even double-crossed them at the end, had Holdo just told them. How hard is it to explain all of that? Also, here is another plot hole. If Leia only manifested her connection to the Force when she nearly got sucked out of space, why is she not surprised? Also, why is it not brought-up again? A lot of questions left unanswered. Some of the humor is forced and out-of-place. Lastly, if you are tired of the humor presented in the various installments of Marvel Cinematic Universe, you might now want to listen to some of the jokes featured here. While the jokes are actually fewer here, in contrast to the over-exaggerated claims made by fans, the gags really do tend to feel out-of-place. Admittedly, you will get that bit of an awkward chuckle, but for most times, they would just feel weird. But for me, there was ever a time when I actually laughed. Grinned probably. One instance of this being out of place is in the very beginning of the movie, when Poe Dameron sort-of prank called General Hux over the communications, even making a Star Wars variation of a "yo mama" joke. The most effective attempt at having me laugh is when Luke had Rey close his eyes, to "feel" the Force around her, and Luke uses a leaf to tickle her, pretending that it was the Force. Just because it sounds funny on paper, it does not mean it will be funny for people. I also did not like that about half of the jokes are actually found on Rey's training scenes, and those gags, simple and harmful as they may be, do ruin the seriousness that it is supposed to be felt by viewers. As much as I would want to sentence this film as "guilty", due to it not meeting my typical Star Wars standards, but as a film, it is fun, it is dark, it is intriguing, and it is worth the watch. And with that movie court is adjourned! To be fair, I understand why most fans are upset with this movie, but seriously, it is not really all that bad. It is a decent movie. Decent enough to not be entirely compared to the mediocre prequel trilogy. At least they tread on previously unexplored territory this time around, and I am really hoping that the next movies can be just a little bold, but not too bold. Also, I hope Solo: A Star Wars Story is good, despite the behind-the-scenes drama. Before we leave, here is a little Star Wars Christmas treat. (And no, it is not the Holiday special.)  Merry Christmas everyone, and stay tuned for more Dateline Movies!